The winner promises that Dentsu's best is yet to come. 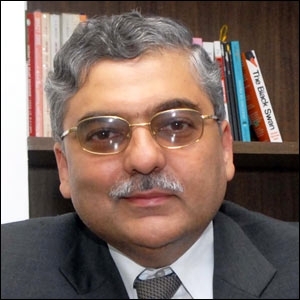 Ashish Bhasin, chairman and CEO South Asia, Dentsu Aegis Network has won the "Media CEO of the year - India" award at the 2014 Business Excellence Awards in London. An elated Bhasin says, "I am honoured to receive the 2014 Business Excellence Award for Media CEO of the Year. I am lucky to have such a wonderful team at Dentsu Aegis Network.The award is for my team's efforts, I am just receiving it in my name. It's been an amazing journey for Dentsu Aegis Network in India but the best is yet to come". He has over two decades of experience and has worked at Lintas for over 20 years and then at Dentsu since June 2008. Speaking about the awards, Siobhan Hanley, coordinator, Acquisition International Global Media Awards, says, "Our Business Excellence Awards are quickly becoming one of our most popular, with businesses all over the globe eager to showcase the amazing work they've been doing to achieve stellar results for their clients while really setting the standards for what can be achieved in their sector. We're proud to be able to showcase some of the most innovative and committed organizations from across the business world and the winners can be rightly proud of the game-changing work they've been doing over the past 12 months." The awards, open to businesses from any sector or region, are given to the most deserving businesses, departments and individuals who have consistently demonstrated outstanding innovation, performance and commitment to their business or clients over the past 12 months and who have received independent nominations from their clients or industry peers. Voted for by a worldwide network of professionals, advisers, clients, peers and business insiders, the awards celebrate the individuals and firms whose commitment to excellence sees them exceeding clients' expectations while setting the bar for others in their industry.